It provides the user with the option to directly upload files or texts to TNT, where they are automatically sent to native speaking translators in the employ of TNT. Translations can be paid for immediately online and a link to the translated file is sent to the user, usually within 24 hours. The website and portal were created using Typo3 6.1 with FSnD’s own portal extension. 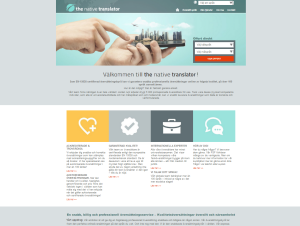 The extension also has a back-end module to administrate translators, languages, prices and billing.